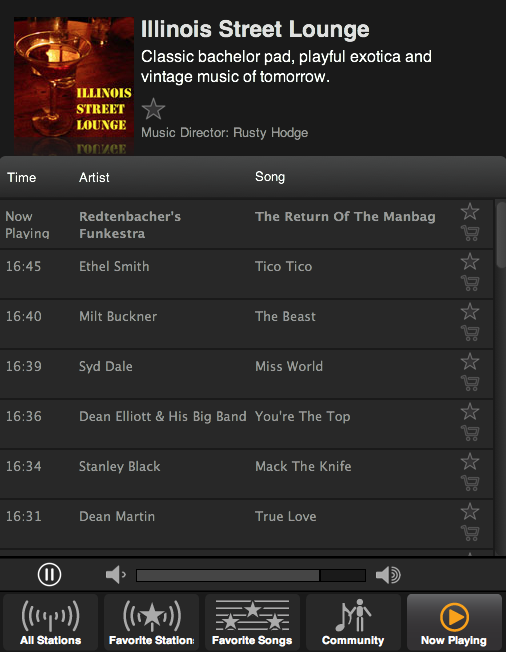 Our track ‘The Return of the Manbag’ has been selected by Rusty Hodge, founder of SOMA FM (San Francisco) for his ‘Illinois Street Lounge’ playlist. This channel is described as ‘Classic bachelor pad, playful exotica and vintage music of tomorrow’. Sounds like the perfect home to us!